SPEC INDIA/Blog/And Then it Crashed! 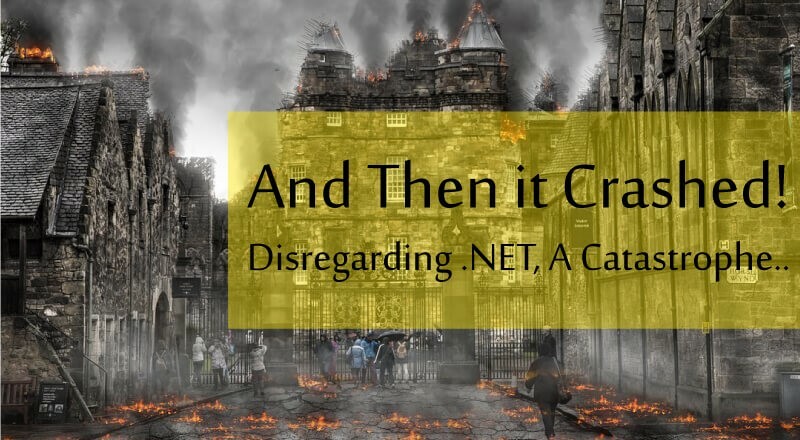 Disregarding .NET, A Catastrophe..
And Then it Crashed! Disregarding .NET, A Catastrophe..
Years of planning, years of my hard work and when my systems crashed, I remember only her words. But there was not point now. It is all over. I did not pay heed to my CTO. She was the best but my arrogance took better of me. I did not depend on the .NET technologies, the window to the future to support my huge enterprise I had brought up from scratch. It all started as a small grocery business inherited from my family. I clearly remember how I started off taking care of the three shops spread across the city. With my judgement and foresight, I devised a very efficient home delivery model within the city and gradually a SMS model to help my regular clients place orders and make online payments. Today, after 10 branches I was ready to launch a website for people to browse through my products and place orders through the site or the very efficient app for Stop&Shop, the brand I nurtured & curated for the last seven years. The eCommerce bug had bit me hard, but I faltered on technology. I did not listen to her. 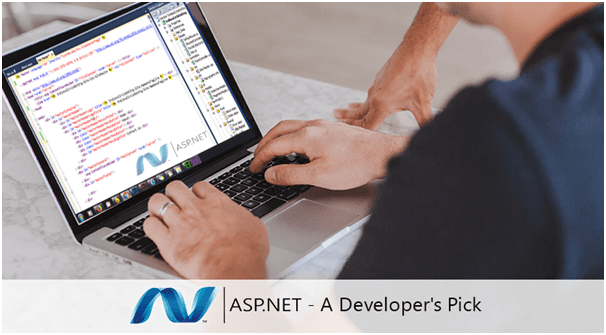 It has been more than a decade since Microsoft launched the .NET framework, and it comes as no surprise that this highly scalable, flexible & dynamic platform continues to remain the preferred choice for dot net development companies & enterprises worldwide. While .NET faces stiff competition from popular frameworks & languages like JAVA, Python or PHP, it has a huge market share and ranks high on popularity charts of the technical communities. The .Net framework boasts of a healthy mix of compatible technology. As compared to other options, these stand out much better. The .NET Framework is a robust development platform for building apps for web, Windows, Windows Phone, Windows Server, and Microsoft Azure. The common language runtime (CLR) and the .NET Framework class library make this framework dependable and popular. What makes the .NET Framework really the first choice of enterprises is that it provides many services, including memory management, type and memory safety, security, networking, and application deployment. It delivers easy-to-use data structures and APIs that complement the Windows operating system. Microsoft .NET framework allows enterprises to build powerful web applications, corporate websites, content systems, social media platforms and any other portal or application format that can be thought of. The resulting software is easily maintainable, reliable, robust, facilitates fast development and comes with a rich suite of controls. There is a healthy resource share in the market when it comes to . .NET enterprise application development , considering the material available, consistency in documentation as well as support that can be availed of. The .NET framework also makes reusability of code a simple affair resulting in quicker development & deployment cycles. But, I overlooked all these benefits Stop&Shop could have had. Effort required for actual development is optimized. Dot NET comes with a whole lot of reusable as well as drag-and-drop features which are of a great advantage to developers. Overall, in large applications, quantity of code is also an important aspect and .NET helps effectively optimize the same. One of the prime reasons of .NET popularity for development is WYSIWYG: What-You-See-Is-What-You-Get, a life saver for any developer. NET itself is not restricted just to ASP, F#, C# or VB. As on date, the number of languages supported within the .NET framework exceeds 25, which includes VB.NET as well as Jscript. .Net boast of a huge community of 6 million developers. The huge ecosystem of components and Open Source software with collaborations with online and offline communities make it a conducive platform. Of late besides the 25,000 developers and 1,700 companies already contributing to the .NET platform, tech giants like Google too become a part of the .Net movement. Being a server-side technology, code execution first happens on the server before redirecting to the web. Interestingly, this is one of the reasons .NET coded applications tend to execute faster as compared to scripts. 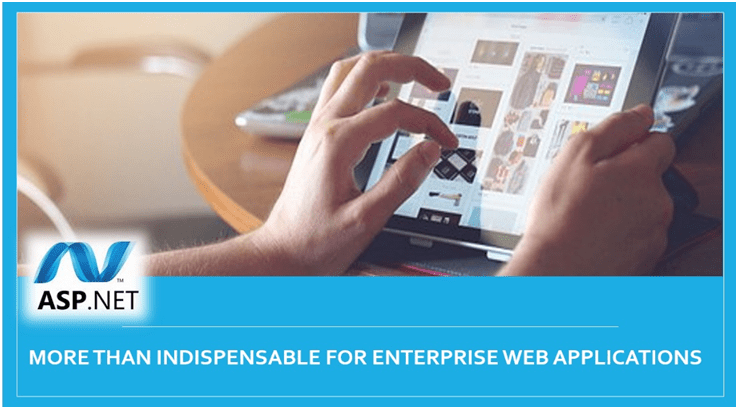 NET allows seamless application releases for web components. This means web deployment can happen on-the-go without the need of restarting server services. .NET is famous for its user & developer friendly features. Web page controls are improvised with state management. .NET framework supports caching of web pages that are frequently called from the server, which results in less time to display. With AOT or Ahead of time compilation, the .NET Framework Common Intermediate Language (CIL) code gets compiled to a native or system-dependent machine code so that the resulting binary file can execute natively for better results. With 2-tier security model for managed applications, programs written in .NET framework are extremely stable, robust and secure. I wonder how I simply disregarded all these benefits pointed out time & again by my CTO.I should have let her be. .NET is a versatile platform with Microsoft supported expertise over the years. An obvious feature is complete support for CSS & XML along with modern web development standards. With full support from Microsoft, .NET remains abreast with regular patches and updates to the same. Enterprise support can also be easily availed for .NET features, and there are many dedicated dot net development companies specifically catering to build enterprise level websites and applications using this niche technology. Considering the ease of usage and highly featured platform, .NET framework continues to remain one of the top choices for enterprises and organizations globally for their IT operations. I am in a rush. A real rush today. After a sleepless night with a nerve harrowing nightmare I cut back to reality. It is still not too late. I give my decision today. I go by her word and we close on .Net as the framework for the ERP to support my years of hard work, Stop&Shop. Period. Why Is ASP .NET Development Services the Most Favoured Choice of Developers Today?